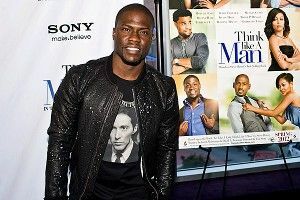 » Think Like a Man Defeats The Hunger Games at the Box Office With the Help of Ernie Johnson Jr. Think Like a Man Defeats The Hunger Games at the Box Office With the Help of Ernie Johnson Jr.
Analyzing that information myself, though, has derived a possible alternate conclusion. The truth is, most of these tactics — having the trailer run with a bunch of dissimilar movies, working in big name athlete promotions, relying on the popularity of the source material — have been tried before, with varying results. But what one tactic here is brand new? As far as I can tell, no one has ever tried selling a movie by utilizing the promotional power of Inside the NBA‘s long-serving anchor Ernie Johnson before. This may well have been the difference maker here, and why wouldn’t it be? On Inside the NBA EJ is mild-mannered, professional, glad to cede the spotlight to the more entertaining Chuck and Kenny but still always quick with a retort. Above all he’s a reasonable, straight-shooting guy; if he’s into a movie, one could imagine he’s not bullshitting you. By the way Hunger Games didn’t do all that poorly this week, as its latest haul has broken it into the Top 20 domestic grossing films of all time. If its studio Lionsgate really wants to make sure the money keeps flowing, though, they should maybe consider giving Ernie a call?